Before we announce the winners of the 2018 MyEntWorld Critics’ Pick Awards, we’re proud to present our annual Nominee Interview Series. The indefatigable Anne van Leeuwen is the Artistic Director of Leroy Street Theatre and co-founder of The Assembly Theatre, the young Parkdale venue that won an Honorary Critics’ Pick Award last year for its entrepreneurial spirit and support for the indie community. 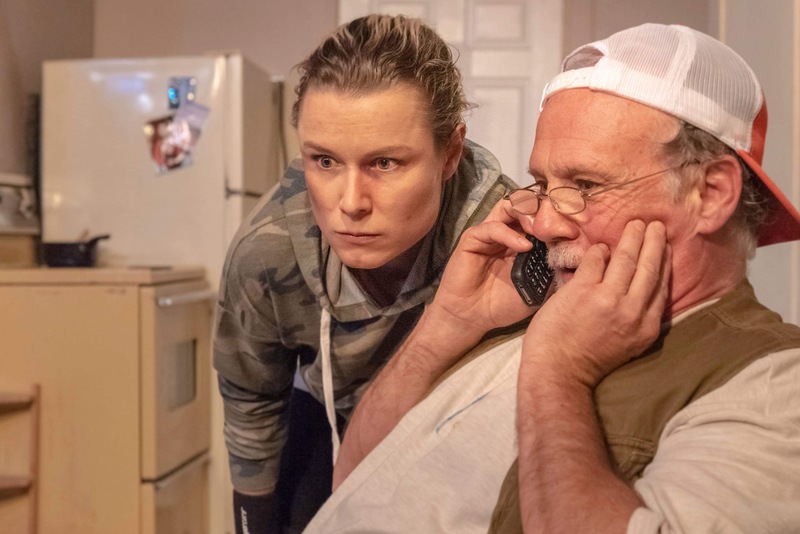 She’s been nominated in the past as a director and an ensemble member but it was her Outstanding Leading Performance in George F. Walker’s Kill the Poor that earned her a 2018 nod. You can see Anne back onstage at the Assembly starting April 12th in C’Mon, Angie! by Amy Lee Lavoie. Get your tickets HERE. This is your third Nominee Interview Series in a row. Catch us up on life since last year. It’s been a busy year! I had the honour of acting in yet another Michael Ross Albert play- The Grass is Greenest at the Houston Astrodome– as part of the 2018 Toronto Fringe Festival, produced by powerhouse actor and downright delightful human, Lauren MacKinlay. I acted alongside Lauren , and a whole host of Toronto performers I’d as yet not had the privilege to work with- Adrien Rebucas, Carson Pinch, and Richard Young– and was led by generous, thoughtful, and sharp-as-hell director Robert Motum. “What a time to be alive.” In the fall, Leroy Street Theatre produced a double bill of George F. Walker shows, followed by a production of Gruesome Playground Injuries, featuring Leroy’s own Assistant Artistic Director, Alice Lundy and directed by my comrade in indie-arms Chris Bretecher. For this production, we partnered with a local community organization LOFT Community Services, specifically their TAY Program (Transitional Adult Youth) that offers support for young adults who live with mental health, physical heath, and substance use challenges. This collaboration involved the Leroy Street team offering theatre workshops for some of the clients of TAY, and showing some of their artwork in our gallery at The Assembly. This was truly one of the most rewarding experiences of my career to date, to see the way theatre can change someone, open them up, make them smile… to see someone discover a new way of expressing themselves. Your company Leroy Street Theatre produced Kill the Poor as a double bill with Her Inside Life. Tell us about the genesis of that project. The Chance was actually a part of George’s trilogy (now affectionally named The Parkdale Palace Trilogy) so the idea to produce the next instalments had been in the works almost immediately following closing night. Lowrise Productions – headed by the brilliant and talented minds of Andrea Wasserman and Michelle Languille— were already in talks about producing Her Inside Life, so we all got together to make the project come to life, taking on two full productions simultaneously being an unrealistic undertaking for two independent theatre companies. We shared resources and our networks, designers and chutzpah to get it all done. We were lucky to have received some funding from Canada Council, and the support of The Storefront Theatre… It took a village! This was your second George F Walker project (after The Chance in 2017). What are some of the rewards and challenges of his work? There is such a duality in the nature of George’s work. The rewards often go hand in hand with the challenges. For example, having George in the room throughout the process can be one of the most rewarding experiences as a performer because here you are, working through the text, developing your character and there sits the man himself… Open to your interpretation and willing to make changes on the fly as per your discoveries in the rehearsal process. At the same time, this presents a challenge, as changes can be made on an almost daily basis, so you have to be prepared to make said changes; to not get attached to the text; to be malleable. Also, George writes such REAL characters, which is a reward for actors as it gives us something tangible to grasp and to build upon. At the same time, some of the characters’ circumstances can hit very close to home, opening up a whole new set of challenges. Give us some insight into the development and casting process for a Leroy Street production. Do you get to call dibs on the part you want to play? Fair question. I guess the short answer is yes? But now you see I have the immediate inclination to defend this point so here comes the long answer. Many years ago a director I worked with at my university taught me an invaluable lesson: if you want to work, MAKE WORK. You can’t rest on your laurels in the theatre business, you can’t wait. And you have to work— working is how we learn, how we sharpen our tools, how we grow. So yes, when we are putting together the season, I look for roles that I’d like to play, ones that will challenge me and inspire me. That being said, Leroy Street is a democratic body, not a dictatorship! Chris Bretecher, Melissa Wright, and Alice Lundy— the other 3 members of the team— all weigh in on the choices for the season. As for casting, our methods vary: it depends on the director of the production. 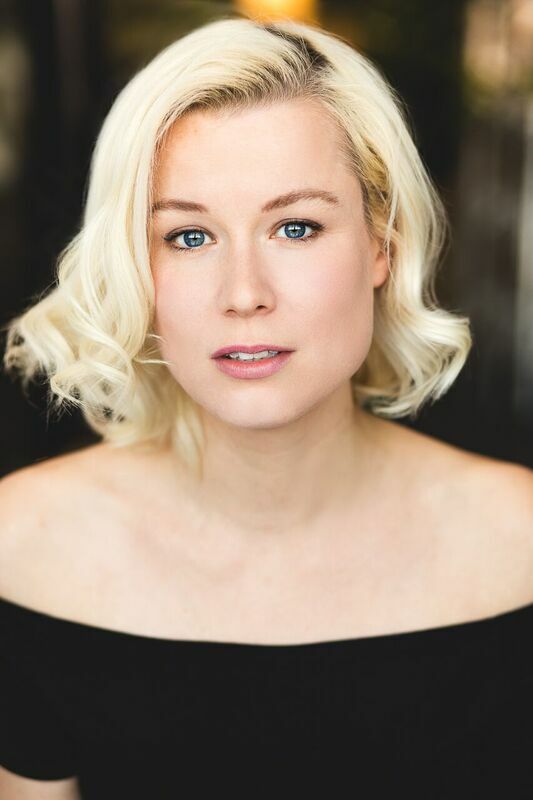 We hold auditions for some pieces and for others we reach out privately to actors we’d like to work with (for example, Fiona Reid was offered the role for The Chance). Leroy has changed a lot in our 6 years of producing indie theatre in Toronto. When we started out and we were doing larger productions of classic pieces, we worked a lot with the same people, which is easy to get caught up in because it’s comfortable, and safe, and you develop such close friendships throughout the process that you just want to work with these people over and over and over again forever. I think as Leroy moves forward we are more eager to work with new faces, to tell new stories, to hear new voices because again, it is how we learn. What were some of the most interesting conversations you had with director Wesley Berger in developing your interpretation of the piece? Lacey brought me back to a really dark time in my life, and honestly, I had huge reservations about taking on this role. It took some convincing on Wes’s part, and I required almost constant reassurance from both him and George. Wes helped me find this character’s humour and levity when I couldn’t see past the hurt. He helped me let her laugh and be curious, and tender. When I bound myself to Lacey’s hardened outer shell, Wes knew all the right questions to ask me to help me find her vulnerability and light. My gosh, he is a patient man. Well it certainly wasn’t when I got locked in the bathroom! Thanks, Wes. Ron Lea is also nominated for his work in Kill the Poor. Tell us about working with him and the rest of the cast. Ron Lea is a goddamned delight to work with. He is giving, he is dedicated, his empathy knows no bounds. Ron is the kind of actor that lights up everyone else on the stage. He is a kindred spirit, a wonderful weirdo, kind and sweet, hilarious and I’m honoured to now call him a dear friend. Am I gushing? Maybe a little. But Ron Lea might be the real answer to your previous question because sharing the stage with that man lit up my life. Now as for the others… Well I could go on for days about them as well. Chandra Galasso brought so much warmth to her character and to the room in rehearsal, she is a thoughtful and open actor. Al Bernstein is a gem, always thinking, always developing, always willing to try new things and to evolve and explore. And Craig Henderson… I couldn’t have asked for a better stage husband— his subtle and tender sense of humour, his intelligence and craft completed this stellar ensemble cast. The Assembly Theatre, which you co-own, won our Honorary Award last spring. Give us an update on what’s going on with the space. We made our first attempt at a curated season at The Assembly early this year. It has been a learning experience to say the least. We started by asking the community to apply to be a part of our selection process, and a jury was created— with the help of Jessie Fraser and Alice Lundy— consisting of 4 new members of The Assembly team, people who would help us build a season of work that reflected a diverse range of voices, stories, disciplines, and creation. Aaron Jan, Susan Lock, Bilal Baig, and Dilara Yuksel graciously accepted their positions on the newly minted Assembly Jury and helped us select new and exciting work to grace the boards at our little Parkdale theatre. However, when we sent out the congratulatory emails to some of the selected creators, we discovered an all-too-common/relatable issue: many of the groups did not have the means to produce a fully realized production, let alone the resources to develop their work. We worked together to come up with a solution, and the 150 Workshop Series was born. Essentially, we found a way to give 6 of these groups of artists a full week of development and workshop space in the theatre for one hundred and fifty dollars. It afforded us enough to make the rent, and them the time and space to do what they love. And we— and I say we as in the theatre-loving community and the population at large— have a chance to see things we’ve never seen before and stories that aren’t told enough. We’re still renting out the space to the theatre community for productions of course, and Leroy is still in residence, but the 150 Workshop Series is something I’m really proud of. We’re still figuring things out and learning, but I’m excited and encouraged about the future of theatre in this city, and happy to be a part of it. I’m acting in Leroy Street Theatre and Spadina Avenue Gang’s upcoming production of C’Mon, Angie! by Vancouver playwright Amy Lee Lavoie alongside Ryan Hollyman. This is such an important piece of theatre. I believe in it and its message, the conversation it will spark and the anger it will engender and the empowerment it will inspire. Come check it out at The Assembly April 12th-27th. Sorry for the shameless self promotion. But seriously, everyone. See this show. Thank you for this opportunity to speak about and reflect upon the work and people I love.